David Allkins, aged 37, attended the event in his capacity as political correspondent for disability charity United Response. He was appointed to the post in February, as part of the charity’s Every Vote Counts campaign. Allkins carries out this paid role alongside other work for United Response, but has struggled to find paid employment elsewhere, after being made redundant several years ago. At the launch, Allkins asked Shadow Secretary of State for Work and Pensions, Rachel Reeves MP, and Shadow Disabilities Minister, Kate Green MP, their views on the difficulties that disabled people experience when trying to access paid employment. He also discussed with them the barriers that disabled voters face when it comes to voting. United Response created the role of political correspondent to help them reach out to people with learning disabilities about their right to vote in the general election. Research carried out by United Response shows that only 1 in 3 of the people it supports voted in 2010, far below the 65.1% turnout of the general population. Through its Every Vote Counts campaign, United Response aims to change this by making information about politics and voting easier to understand. As part of this, Allkins has produced a series of video reports aimed at challenging perceptions on learning disabilities and ensuring that the rights of this disenfranchised group of voters are recognised by politicians and candidates. He has interviewed Secretaries of State, attended hustings, met returning officers and found out the views of would-be voters on issues including employment rights. Speaking ahead of the event, Allkins said: “I am very honoured to have been invited to this disability manifesto launch. It shows that people with disabilities are gaining a voice and that the importance of people with disabilities is being recognised in the run up to this election. 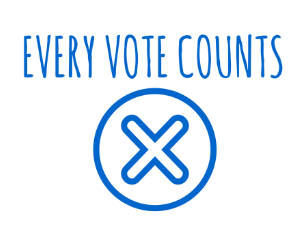 “It also reaffirms the importance of the Every Vote Counts campaign by United Response, to help people with learning disabilities to register to vote and take an active role in politics. “It is important that the launch is taking place at an employment setting, as it is often assumed that people can just walk into jobs or employment. For some this is not the case, they will need assistance or reasonable adjustments made.